This floral aroma immediately springs to mind images of fields of purple flowers in bloom. Respected for it's healing properties, lavender is a wonder choice for people with sensitive skin. 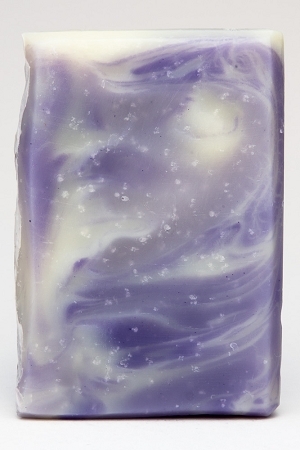 Showering with this mild and fragrant bar is always a great way to clear your mind while pleasing your skin. INGREDIENTS: filtered rain water, saponified oils of olive (olea europaea), coconut (cocos nucifera), and palm (elaeisguineensis), lavender essential oil,alkanet extract (Alkanna tinctoria) and natural mineral pigment.